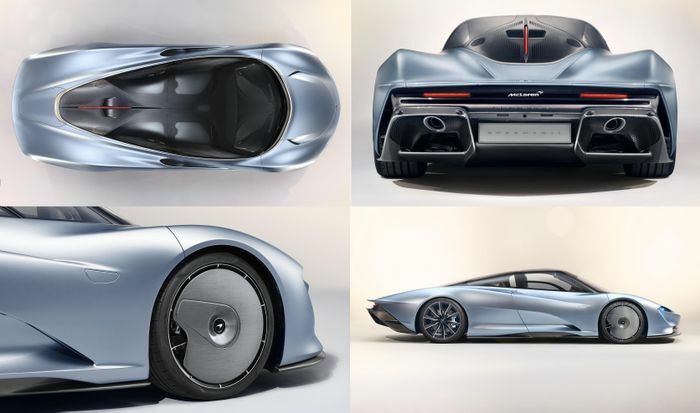 The McLaren Speedtail has been revealed in full at last, and it’s every bit as fast as you want it to be. In fact, it’s the fastest McLaren ever. The new ‘hyper-GT’ slots in as McLaren’s current range-topper, and with stats like this it’s not hard to see why. It will rocket its way from a standstill to 186mph in just 12.8 seconds. That is insanely quick. For reference, the P1 could hit the same 300kph benchmark in 16.5 seconds. 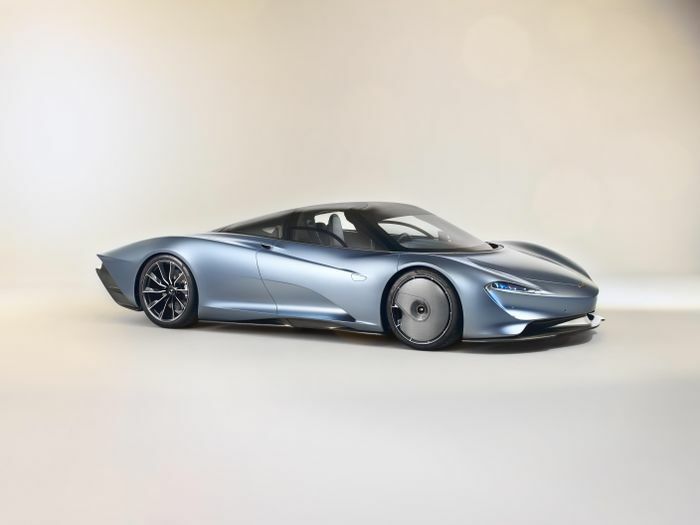 Its petrol-electric hybrid drivetrain is a new development of existing tech, but McLaren has held back on releasing the full facts on it, presumably to guarantee more headlines at a later date. Extensive and really quite astonishing aerodynamics work has taken place. Each panel gap is claimed to be no more than 1mm wide, and each is designed in such a way that, at speed, the bodywork actually bends under the force of the air, closing the gaps completely and ensuring there’s no turbulence or drag from them. Shaped fundamentally like a teardrop when viewed from above, McLaren calls the passenger cell’s shape the fastest in nature. 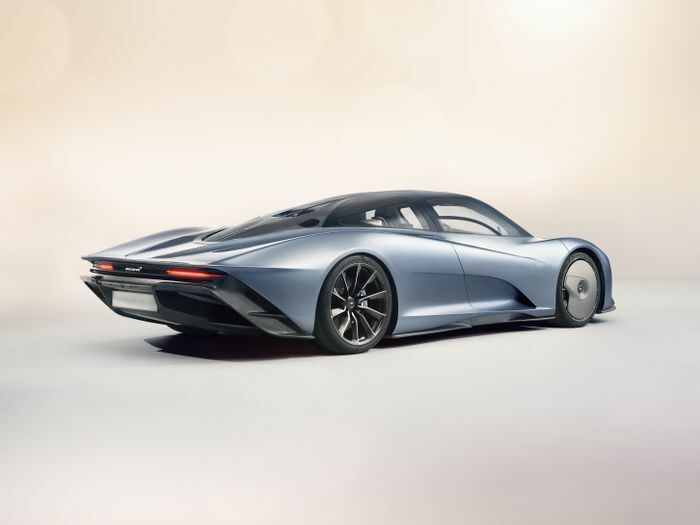 The stretched tail, reminiscent of both the Jaguar XJ220 and the Oldsmobile Aerotech, bleeds away the air flow to drastically reduce drag at the rear. Also contributing are rear-view cameras that can be retracted, a clamshell engine cover and an overall reduction in the number of shut-lines. The bodywork is a masterpiece of making sure as much air as possible stays ‘attached’ as it flows over the car. The positioning and shapes of its inlet vents are designed to work in direct harmony with specific outlets, including some that channel air through the body itself and do everything they can do minimise turbulence. Even the front wheels are covered by carbonfibre aero plates. It’s equipped with a special Velocity mode and bespoke Pirelli P-Zero tyres that allow for the full 250mph top speed. The mode sets the hybrid drivetrain to 11, flattens the active rear ailerons and can also lower the car by 35mm. That, in turn, leaves the top of the roof just 1120mm off the floor. The Speedtail weighs 1430kg dry; not bad when you consider all the crazy strengthening that has had to happen to its chassis. It’s narrower than a P1 but a bit stretched to manage easily around a supermarket car park. At 5137mm, it’s over half a metre longer than a P1. 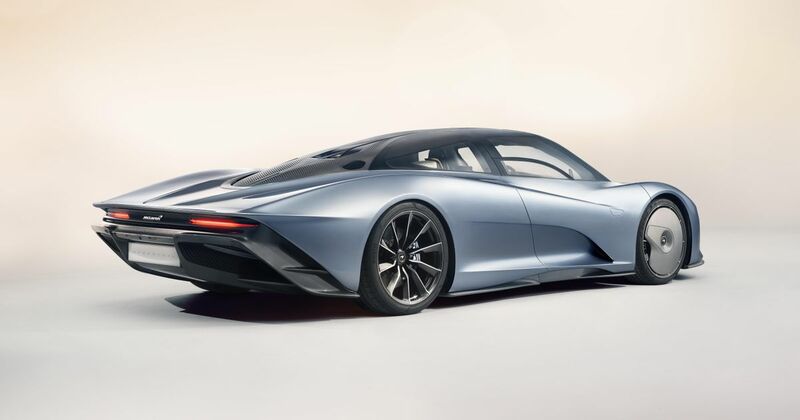 We’re keen to learn more about the Speedtail’s engine and will bring you that news when it breaks.